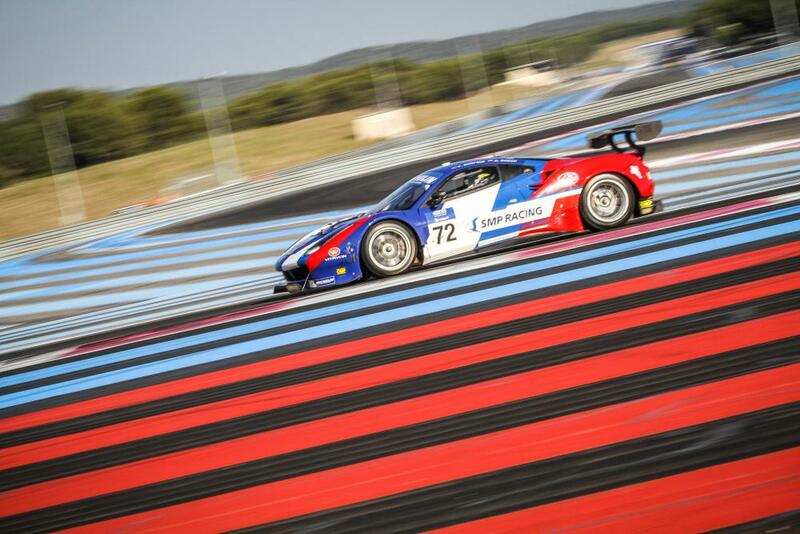 The #72 SMP Racing Ferrari F488 GT3 driven by Aleksey Basov and Victor Shaitar took a convincing win in the fourth round of the 2016 Michelin GT3 Le Mans Cup. Second was the #88 Mentos Racing Porsche 911 GT3 R which chased the #72 car hard to the line but ultimately Ban Barker, who shared the drive with Egido Perfetti, did not quite have the pace to challenge for the win. 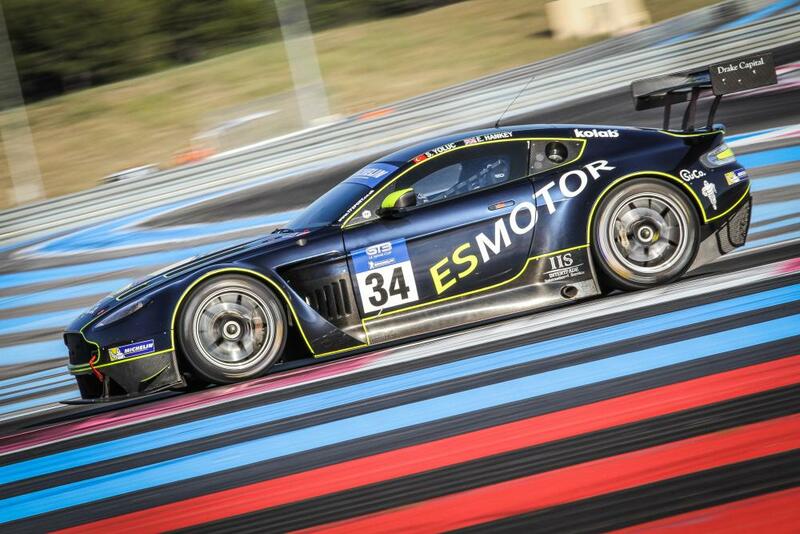 Overcoming some early race penalties to take the final step on the podium was the Teams Classification-leading #34 TF Sport Aston Martin V12 Vantage GT3 in which Euan Hankey, partnering Salih Yoluc who took the first stint, drove a storming second half to the race. With thirty minutes to go it seemed that the #34 Aston Martin had the pace to overcome a nearly 18 second deficit to the leader and potentially challenge for the overall win. It was not to be, however, but, at the flag, Hankey had clawed back over nine seconds to finish just 8.238 seconds back from the leader. The two British Michelin GT3 Le Mans Cup debutants had successful, if eventful, starts to their careers in this new-for-2016 but expanding championship. Optimum Motorsport, campaigning its #75 Audi R8 LMs, after withdrawal from the British GT Championship, finished fourth after Flick Haigh drove a solid first stint following which Joe Osborne went on a charge, overtaking Steve Hiesse in the #8 Scuderia Villorba Corse Ferrari F458 Italia for fourth place with less than four minutes left to race. Barwell Motorsport, with its ##66 Lamborghini Huracán GT3, driven by Mark Poole and Richard Abra, finished sixth after falling as low as eleventh in the early stages of the race after contact with the #34 TF Sport car. Both teams will be delighted at their first outings in this Championship. Third place for TF Sport means that it retains its lead in the Teams Classification, albeit with the gap to second place narrowing by a single point to 15. The win for the #72 SMP Racing win means that the Monaco-based team moves to third in the Teams Classification behind Mentos Racing which moves to second overall, overtaking the #55 FFF Racing by ACM team who retired the car. Following a quiet start, the Michelin GT3 Le Mans Cup is starting to build some real momentum, offering spectacular racing on great European circuits. 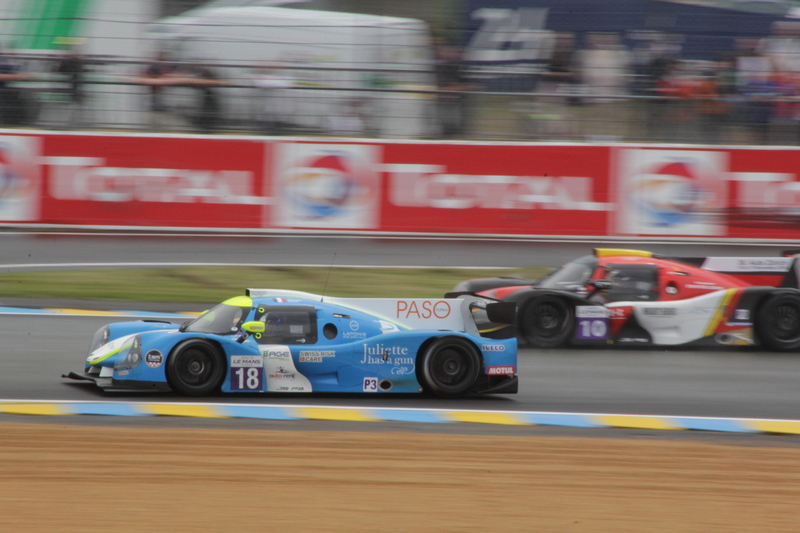 The Automobile Club de L’Ouest will be delighted at the progress this championship has seen in its first year. 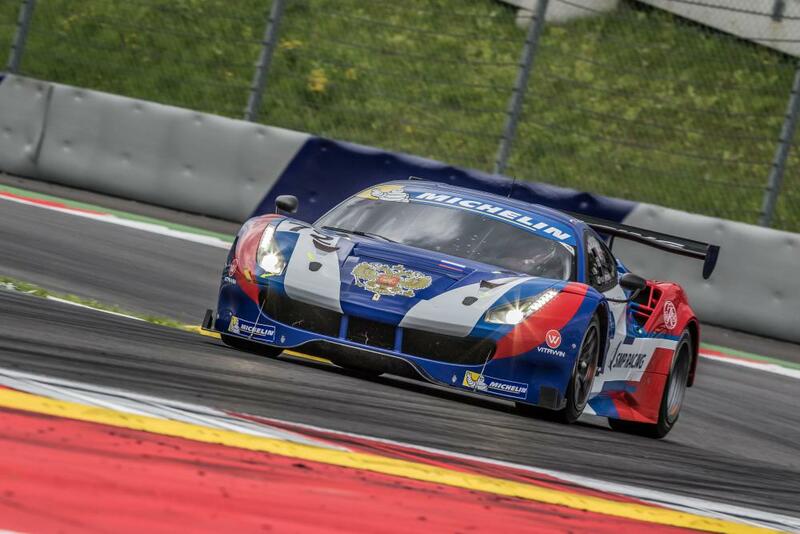 The next round of the Michelin GT3 Le Mans Cup is on September24 at Circuit de Spa-Francorchamps.